University President Michael Lovell talks about getting students more involved in the city, specifically through the Milwaukee Succeeds initiative, which he co-chairs. At first glance, it seems Marquette’s new president has a lot on his plate. In addition to being a father and running the largest private university in Wisconsin, President Michael Lovell is expected to continue the roles he developed as chancellor of the University of Wisconsin-Milwaukee, leading initiatives to reshape the city’s educational landscape. But it seems the president’s heavy workload has only gotten university leaders more excited about the coming year. 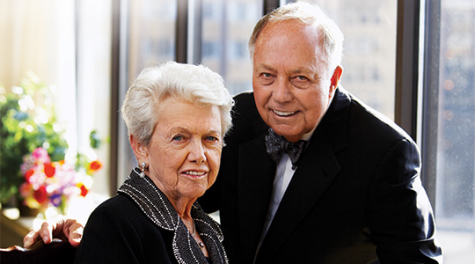 Although nothing has been set in stone, university leaders said there has already been a lot of discussion about making the university more involved with Lovell’s work throughout Milwaukee, with most attention dedicated to Milwaukee Succeeds, the education initiative spearheaded by the Greater Milwaukee Foundation. Milwaukee Succeeds, which Lovell has co-chaired since the group formally began in 2011, aims to address the educational disparities plaguing the city in relation to the rest of the state. Players involved stress developing a citywide, coordinated effort working to achieve specific goals by 2020. Increasing proficiency for third- and eighth-grade math and reading to bring skills closer to the state average. Catching Milwaukee up with the state’s average composite ACT score of 22. Bringing the portion of the population with a bachelor’s degree up to 33 percent (just above the state average). Immunizing at least 2,500 more children. Practically, these goals elicit a number of efforts, such as bringing tutors and mentors to low-performing schools to work with struggling students or developing wellness and immunization campaigns for children. 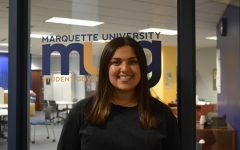 Marquette started getting involved in the initiative last year, bringing more than 50 students from different majors to tutor at the Milwaukee Academy of Science, a charter school just northwest of campus. By the end of the year, kindergartners at the school were performing above the state average ​reading score, according to the Milwaukee Journal Sentinel. And there’s even more good news. 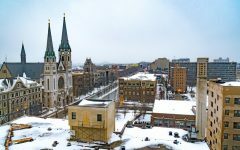 Although the group is in its early years, Milwaukee Succeeds leaders have expressed cautious optimism about the citywide progress of their efforts. About 73 percent of the group’s goals saw movement in the right direction according to its latest Milestone Report. Of course, there’s still room for a lot of improvement. Much of the progress was minimal, and the initiative actually lost ground in a few goals, such as third- and eighth-grade math proficiency and the percentage of the population with a bachelor’s degree. ​Still, leaders emphasize that this doesn’t discount the effort. And that’s arguably what makes this initiative unique from previous education reforms. The Milwaukee Succeeds leadership council branches out to a near comprehensive list of major players in the educational system, including Mayor Tom Barrett, District Attorney John Chisholm and State Superintendent Tony Evers. As for schools, there are a number of representatives from the public sector, such as Milwaukee Public Schools interim Superintendent Darienne Driver and Bob Peterson, head of the MPS teacher union. But there are also voices from private, voucher and charter school groups. And it doesn’t stop there. Major businesses and nonprofits throughout the city are also represented, as are most universities in the area. Overall, Milwaukee Succeeds is a breadth of interests — widely known to bicker on educational issues — now focusing together on one thing: kids. 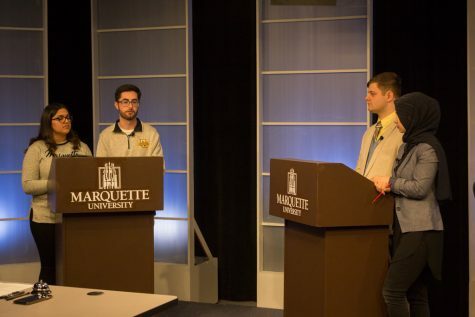 While Marquette students first became involved with Milwaukee Succeeds last year, leaders say there is growing conversation and enthusiasm about how efforts could be expanded by the university. 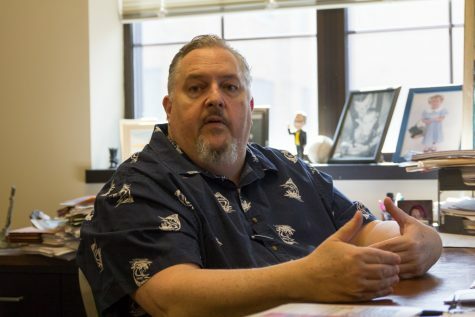 “You would be really hard-pressed to find a part of the university that couldn’t play a role in the betterment of schools,” Henk said. Mike Soika, director of Milwaukee Succeeds, said he has already had conversations with Marquette leaders to brainstorm ways to expand the school’s participation. He also said having Lovell in his new position changes the game with the level of university involvement. Henk said some of his faculty has expressed a growing interest in getting involved, from data management to offering financial expertise. Callahan also suggested that expanding Marquette’s tutoring partnership could offer the initiative a more sustainable resource for schools wanting to give kids extra help. 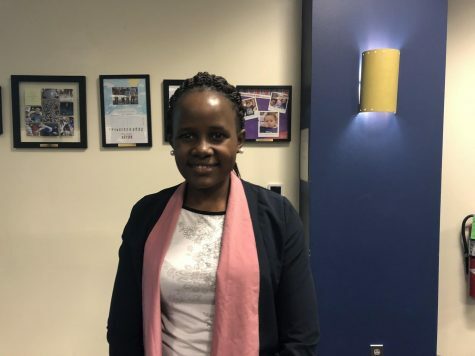 “I think I need to spend a little more time working with the other deans and trying to figure out what that structure would look like, whether it’s a service learning opportunity or individual student volunteerism,” she said. 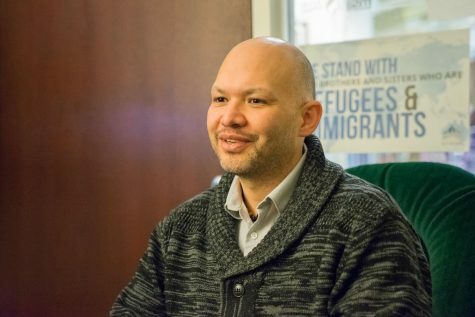 For Lovell, the role he said he would like to see in Marquette students is becoming mentors for kids throughout the city beyond the academic setting. 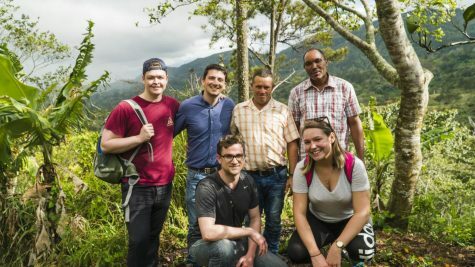 Although there are no specific plans in place at the moment, many students said they were excited for expanded opportunities to get more involved with the community. 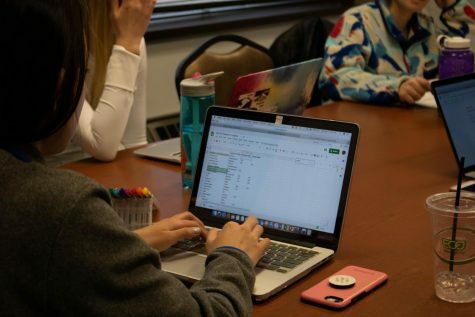 “I think it would be good for younger students to see concrete examples of how college works,” said Isabel Utschig, a junior in the College of Arts & Sciences. 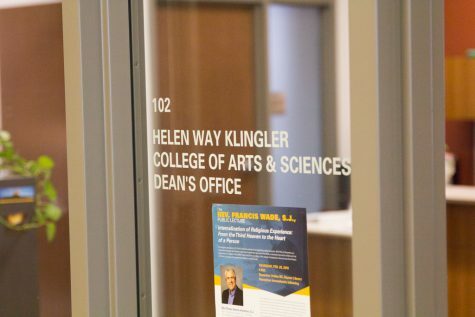 Beyond taking advantage of Marquette’s human resources, though, Soika said he thinks having Lovell in the university’s president spot will give greater opportunity to accomplish its higher education goals. Soika said one of the biggest obstacles to increasing bachelor degree holders in Milwaukee is over-complicated credit transfer policies at larger universities. 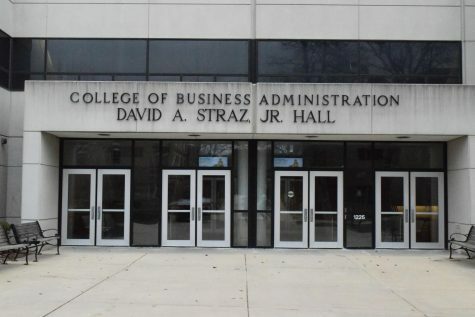 Not all credits from technical colleges work with Marquette, and that’s a challenge for people who might not be able to afford four years of Marquette tuition. “I think it makes those conversations much easier with Mike Lovell in this new position,” he said. 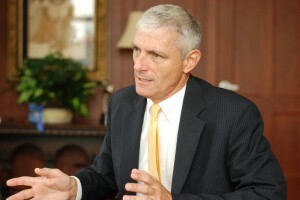 Reforming the system is already taking place, with Lovell communicating with all 21 university leaders at a summit last week. Callahan also noted that the university has been reviewing its transfer credit policies over the past year as part of its larger enrollment strategy evaluation. Correction: An earlier version of this article incorrectly stated that the Greater Milwaukee Committee spearheaded Milwaukee Succeeds. Although the GMC collaborates with city groups in the initiative, the Great Milwaukee Foundation is the group that started it.